Took a quick snapshot of this gorgeous wallpaper by Australian designer Catherine Martin--a new exclusive of Anthropologie which has to make us Americans insanely happy. Be sure to check out the decent pictures online right at the source including her Ebony Lace and delicious, lush Cranesbill Castle designs. 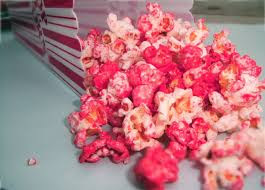 The thing is these would never go up on my walls. I'm thinking wooden hat boxes decoupaged in these or incredibly special gifts bundled up tightly. $198. - $145. a roll maybe that isn't the most feasible but one can daydream. 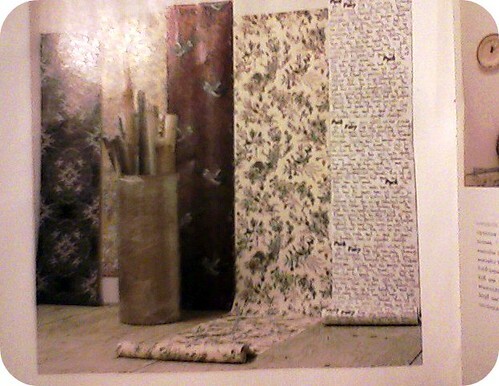 One can also scrounge around for vintage rolls of wallpaper which these greatly resemble as well. Merci Anthropologie!